Official Trailer Arrives For DISCARNATE! 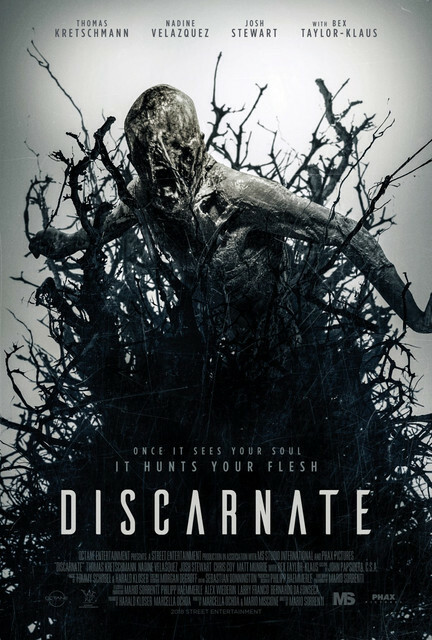 If you enjoy a trippy and dreamlike effects that really take you to another place, then maybe you will enjoy the upcoming Horror flick from director Mario Sorrenti titled DISCARNATE. When some ill advised scientific experiement goes wrong, something is unleashed. The moive recently made it's world premiere at the Screamfest Horror Film Festival. Head on down below to watch the trailer. The cast is made up of Thomas Kretschmann, Nadine Velazquez, Josh Stewart, Bex Taylor-Klaus, Isiah Adams, Ashton Amaba, Chris Coy, and Matt Munroe. "A neuroscientist's obsession with a drug that expands the human mind inadvertently unleashes a deadly supernatural force on his team." DISCARNATE is expected to see release at some point this year.